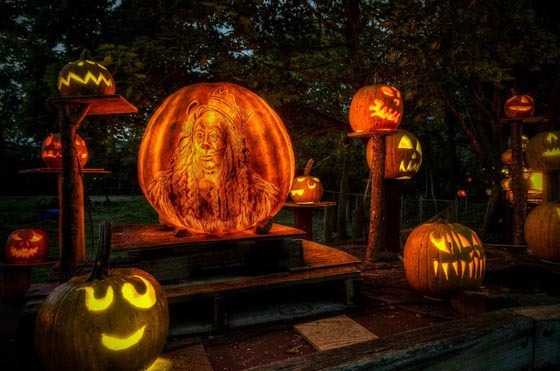 Pumpkin as the most used art medium in this holiday time of year is never stop amazing us. 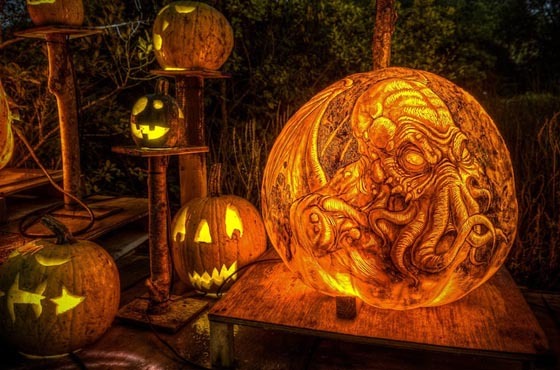 Year after year, there are always some new ideas coming out and turning old pumpkins turn into magical works of art! 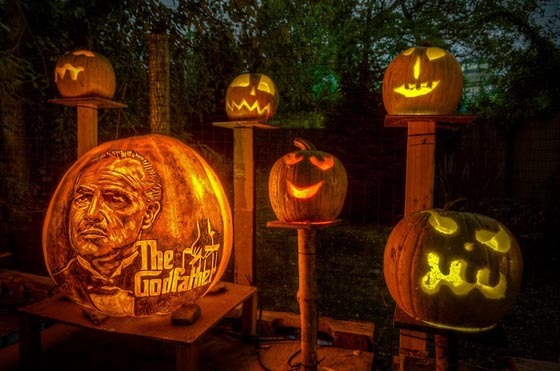 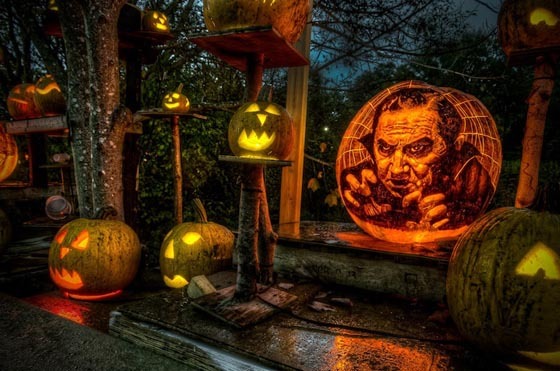 Below are some Spectacular Jack-O-Lanterns created by crew from “Passion for Pumpkins”, who use ballpoint pens, oil-based markers and paring knives to create spectacular pumpkin art. 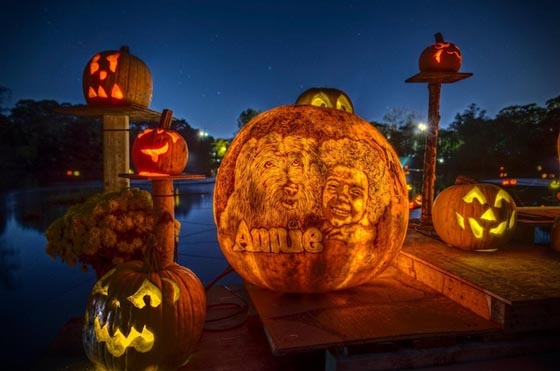 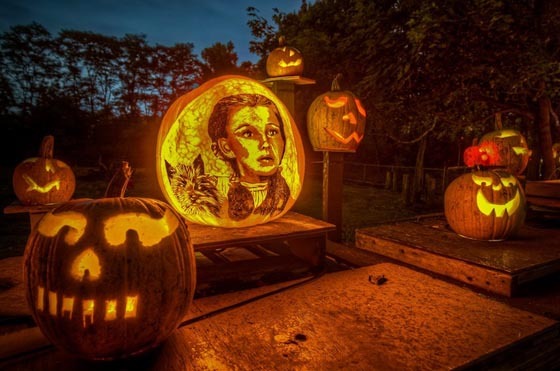 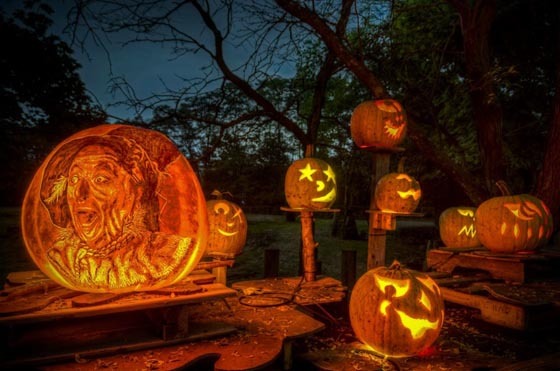 The theme of the presented photos here is “All the World’s a Stage,” hence you will find the pumpkins were carved into scenes from iconic and popular movies, Broadway shows and television series. 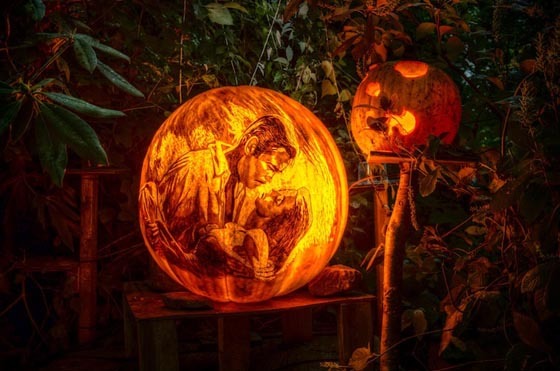 To make a Jack-O-Lantern like that, instead of cutting through the pumpkin, artist only removes some of the skin by shaving it with a paring knife. 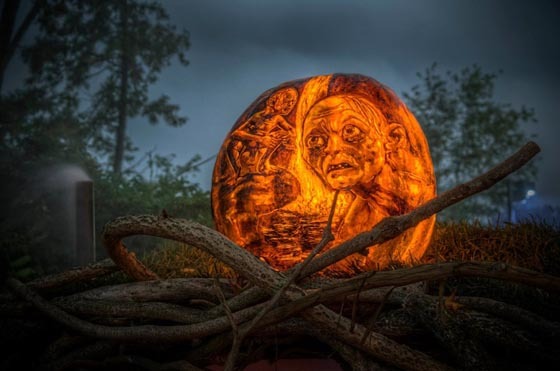 After clean its inside and leaving the skin about a quarter of an inch thick, a light bulb will be added to illuminate the image on the outside.